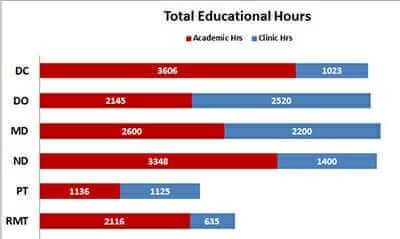 Chiropractors go through a very rigorous and thorough educational program that varies by State. A minimum of 6 years is required, though many states require 8 years. At least 4 years are on the graduate level, attaining a doctorate degree in Chiropractic. 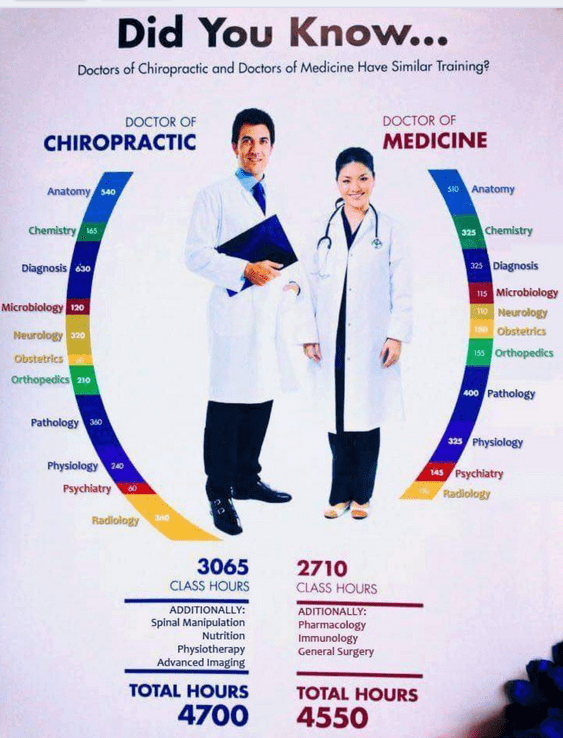 Chiropractors are real doctors in the sense that they have a doctorate, are a license health care professional, and are highly trained in their specialty; but they are not medical doctors, or MD’s. Chiropractors are trained to treat the body naturally, without the use of drugs or medicine. This is a partial list, a full curriculum list can be viewed here. In addition to general education requirements, a year of interning at a chiropractic clinic is also required to attain a license in chiropractic.